The outside of these pouches features cute Gilmore inspired embroidery designs on osnaburg cotton. 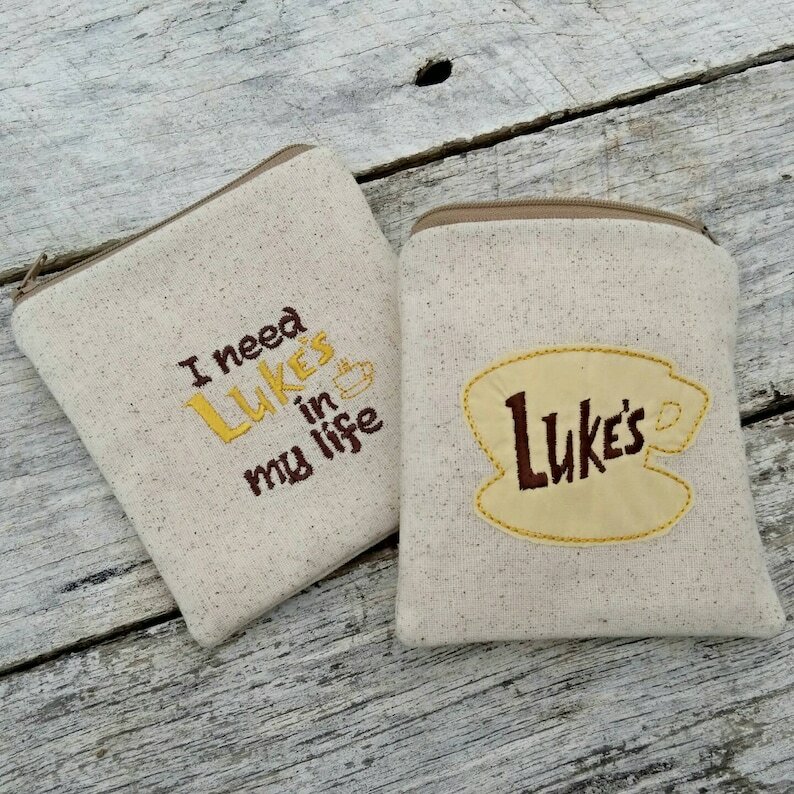 The insides of the pouches are lined with the same cheery yellow cotton fabric that the appliqué of the Luke's mug is made from. A hidden layer of flannel between the fabrics gives the pouch a little extra body and a nice squishiness. Each pouch measures approximately 5"x5" inches. Save $$ when you purchase both pouches together! Pouches can easily tuck into any other order and will ship within the U.S. for no additional cost if purchased with another item. All items ship from our pet-free and smoke-free home.